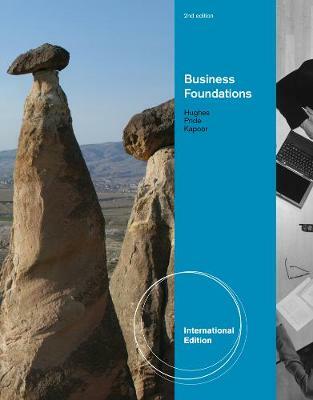 Business Foundations, 2e, International Edition provides a brief survey of the major functional areas of business including management, marketing, accounting, finance, and information technology, as well as core topics such as ethics and social responsibility, forms of ownership, small business, and international business. The text is filled with cutting edge content, including up-to-date information about the economic crisis as well as suggestions on how to manage personal financial planning in the midst of economic ups and downs. This second edition also includes two new appendices on Careers in Business and Personal Finance. An abundance of study aids is also available within the text and on the student companion website.